We have some really wonderful GYROTONIC®trainings coming up in June and July. Coming In June Starting with GYROTONIC® Pre training begins Friday June 5. This is a 30 hour course designed to give you an understanding of the level 1 exercises, and prepare you prepare you physically for the GYROTONIC® Level 1 Foundation Course. But all students that have been attending regular Gyrotonic tower classes or private sessions and have a desire to deepen there understanding of the Gyrotonic method are welcome! NEW Standing work part of the Level 2 Program. Erika Hassan moved to NYC in 1992 because she needed to dance. She began studying ballet with Sara Neece and Jan Miller. Her technique consisted mostly of brute force and desire! Fortunately, in 1993 she met Juliu Horvath (founder of the Gyrotonic Expansion System) and began an intensive investigation into Gyrotonic and dance from the inside out. For five years she trained privately with Juliu and, in exchange, worked in his workshop where he still built the Gyrotonic equipment- staining woods and gluing foam cushions. She continued a career in dance with various choreographers in NYC including Heidi Latsky, Javier Dzul, Jennifer Muller, Maureen Fleming, and Soulskin. Erika spent 4 years in Brazil where she danced in Marcelo Pereira’s Zen Companhia de Danca. She then moved to Japan to study the avant garde dance form- Butoh – on Min Tanaka’s farm. She choreographed and performed in his theater Plan B in Tokyo. Erika is deeply committed to sharing the Gyrotonic Expansion System. She is currently a Master Trainer in both Gyrotonic and Gyrokinesis and teaches trainings and workshops around the world. Dima Fedorov began his physical education as a young boy in St. Petersburg studying gymnastics and acrobatics. He later competed professionally with Julia Kulakova throughout Russia and Europe. He graduated with a Masters in Sports Acrobatic. Dima later took his acrobatic skills to the stage in the Hermitage Theater with choreographer Alexsander Kondratuk. He attended the Lesgaft National State University of Physical Culture, Sports, and Health in St. Petersburg, Russia. In 2003 he was introduced to the Gyrotonic method by the founder’s brother, Paul Horvath. Dima and his colleagues were the first group to bring the Gyrotonic Expansion System to Russia. Over the past 10 years he has deepend his studies in the method with founder Juliu Horvath, Gina Muensterkoetter, Sebastian Plettenberg, and Erika Hassan. Dima is currently a Master Trainer in both Gyrotonic and Gyrokinesis. 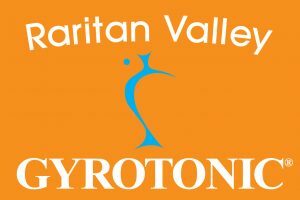 We are very Happy here at Raritan Valley Gyrotonic to announce that Emily Smith GYROTONIC® and GYROKINESIS® Specialized Master Trainer Will be conducting a GYROTONIC® level 1 Foundation Course starting July 6th For more Information or to sign up for this course please go to our online scheduler and sign up online under workshops Foundation course. Emily Smith has been teaching movement in different forms for over 20 years. Through GYROTONIC® methodology, Emily has experienced freedom from limitations brought on by injury and spinal imbalance and achieved a new awareness of the body on a physical and energetic level, which she looks forward to cultivating. Emily began her GYROTONIC® training in 2006 has completed course work with Juliu Horvath, Paul Horvath, Erika Hassan, Sebastian Plettenberg, Juergen Bamberger, Bradley Kreamer, Kathy Van Patten and Abel Horvath. She is a GYROTONIC® and GYROKINESIS® Specialized Master Trainer. When thinking about getting in shape, it’ll serve you well to start thinking about the Gyrotonics Expansion System. With Gyrotonics (and Gyrokinesis) exercises you’ll achieve what is often referred to as “body evolution.” While that description might seem like a daunting task to undertake, Gyrotonics makes it easy. At Raritan Valley Gyrotonics, our knowledgeable trainers will help you quickly get comfortable on the Gyrotonics machinery, making the task of getting in shape and reaching body evolution so much less daunting. While some studios in the NYC do a great job with helping their clients achieve their goals, very few concentrate solely on the Gyrotonic methods. To receive the full experience experience of a truly dedicated Gyrotonics workout you need to stop by Raritan Valley Gyrotonics in Fanwood, NJ. There are a few things you expect to get out of a great workout, and Gyrotonics delivers on all of those benefits. Like with any physical exercise, continued activity with Gyrotonics generally results in weight loss, gained strength, better flexibility and a better overall understanding and control of your body. With Gyrotonics though, there are some nice additional bonuses that come with Gyrotonic exercises, such as more energy, better sleeping, a more stable emotional state and a healthier appetite. Since the movements involved are all coordinated with breathing, it specifically aids in internal movements that benefit all of the systems in the body, including the internal organs. People who stick out our classes for even just a week or two begin to experience these physical and emotional perks to working out, and are often more likely to adhere to their fitness routine for a much long and reach their goals much sooner. One of the reasons why Gyrotonics works so well is that you develop a relationship with a personal trainer starting from day one. They’ll hold you accountable and inspire you to push yourself harder, which means you’ll be more likely to experience those great feelings. https://www.rvgyrotonic.com/wp-content/uploads/2014/12/bg3-new.jpg 598 1583 Shirley Wallitsch https://www.rvgyrotonic.com/wp-content/uploads/2017/07/633441.RVG_.Reduced-300x200.jpg Shirley Wallitsch2015-05-26 06:55:062017-07-10 13:20:06Get FIT with Gyrotonics! Baby Boomers Benefit From Gyrotonic! They say you can’t teach an old dog new tricks, but some of us “old dogs” are finding it almost necessary to at least trick ourselves into getting into a regular exercise routine. Whether you’re starting fresh to kick-start a healthy lifestyle (better late than never right?) or are finding that your body isn’t keeping up with the intense routine you were once used to, Gyrotonics could be your answer to a fun, balanced workout regime your body needs. 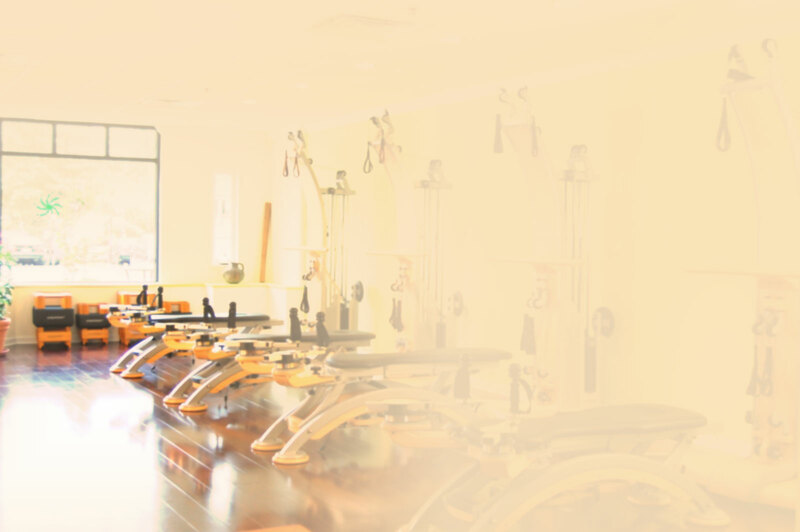 The hardest part of any work out is the beginning, that’s why Raritan Valley Gyrotonics in New Jersey, makes it our mission to provide a warm, friendly, welcoming environment. You won’t feel uncomfortable pressure of walking into a gym filled with fit, body-building – however you will walk out feeling so good, that you could lift with the best of them. Regular physical activity can help prevent and reduce the symptoms of arthritis, Alzheimer’s disease, diabetes, osteoporosis, heart disease, certain types of cancer and a slew of other medical issues. While we do offer classes and encourage people of all ages and athletic abilities to give Gyrotonics a try, there are certain aspects of the exercise methods that are incredibly beneficial to the Baby Boomer generation. Gyrotonics uses the principles of Intention, Stabilization, Decompression and Coordination to help increase mobility, flexibility and strength – which happen to be a few of the areas the Baby Boomer are apt to focus on. We pair the fundamental fitness elements of the Gyrotonic method with a fun environment so that classes fly by while you get a great work out in. Regular Gyrotonics and Gyrokinesis exercise can help increase the functional capacity of the spine, better your coordination, increase your overall strength, boost your flexibility and help you gain mobility in your joints in all directions. The exercises also have cardiovascular and circulation benefits because of the constant movement during classes. With different classes and training sessions, you can choose the best option for you. Want the encouragement of others? Join one of our group Gyrotonic or Gyrokinesis classes. Want to learn the basics at your own pace? Sign up for a private session and get personalized attention to work on your “trouble-areas” and increase the intensity at a pace that feels right to you and your body. We put a high emphasis on using correct form and recognizing your body’s limitations, that way, whether you’re in a group class or private session, you stay injury-free while on your road to better health. After a few sessions, you may end up feeling like a new, improved person! Chores and tasks around the house will seem easier, you won’t be as tired after running around with the grandchildren, and you’ll most likely even find yourself making healthier choices in all aspects of your life. Committing to a fitness routine is one of the healthiest and most important decisions you can make – no matter what your age – and we want to be there to help you start that journey. What are you waiting for? Give us a call or book a class now, we’ll see you soon! https://www.rvgyrotonic.com/wp-content/uploads/2017/07/633441.RVG_.Reduced-300x200.jpg 0 0 Shirley Wallitsch https://www.rvgyrotonic.com/wp-content/uploads/2017/07/633441.RVG_.Reduced-300x200.jpg Shirley Wallitsch2015-05-20 17:46:242017-07-10 13:20:06Baby Boomers Benefit From Gyrotonic!